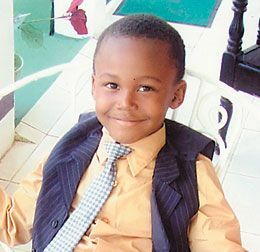 Happy belated birthday to a wonderful, cute and adorable prince, Matthew Small of Choppins. Greetings from dad Doddrige, mom Desiree, brother Joshua, sister Rachael and the rest of the family circle. We love you, Matthew.